Sometimes I feel as though I was born in the wrong era. 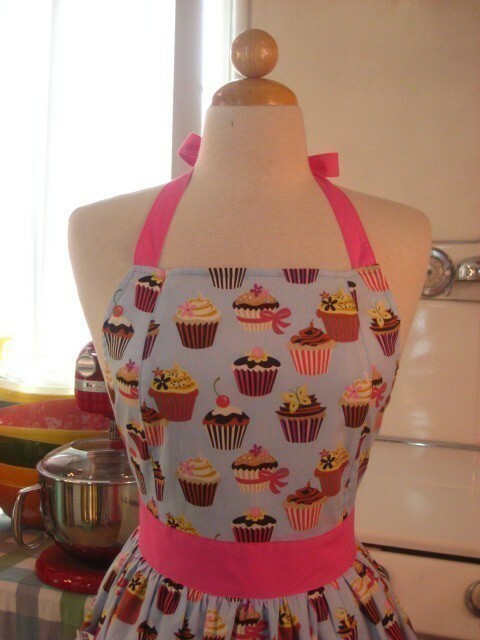 In my heart, I’m a 1950’s girl. 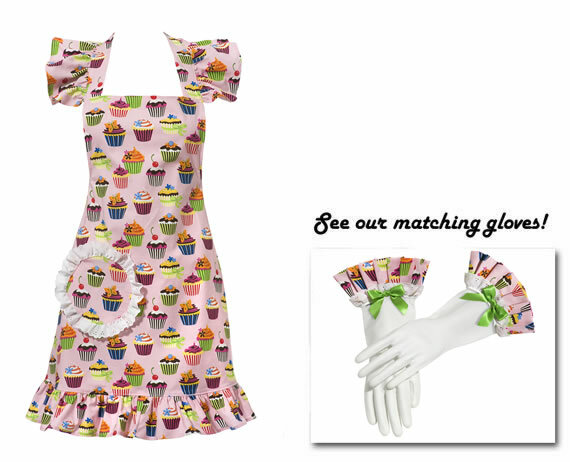 I love pretty much everything about the 50’s, the music, the dresses, the innocence and…the kitchen’s! 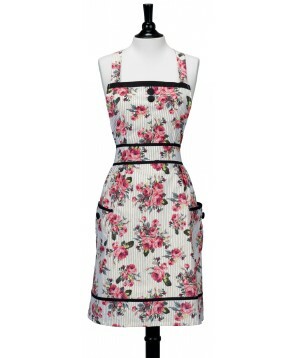 But since we haven’t figured out a way to turn back time yet, and no Bill & Ted’s time machine is in sight, I guess I’ll just have to settle on some vintage items such as these GREAT retro aprons! 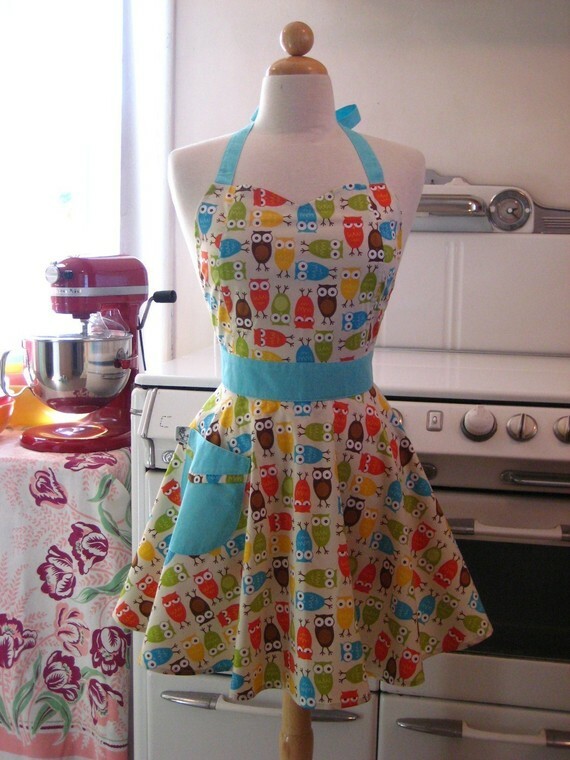 I LOVE these wonderful aprons by Boojiboo and they have cupcakes and owls on them! 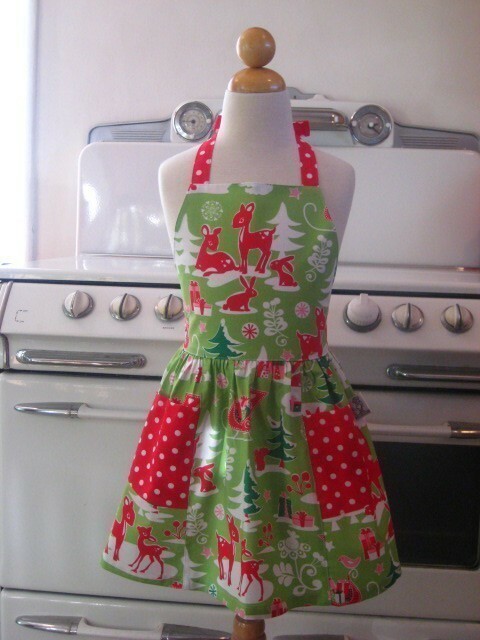 I still can’t get over this christmas inspired one and it’s only 17$! 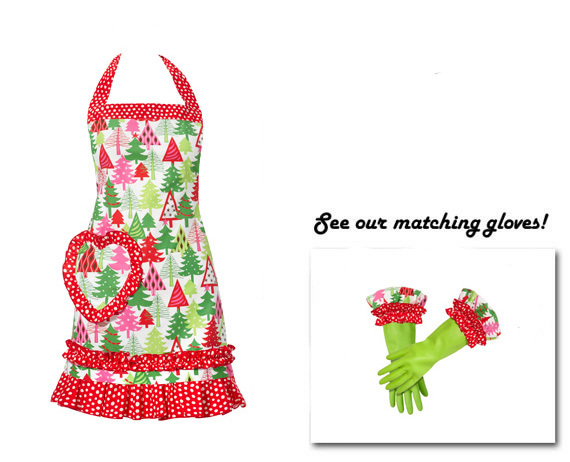 Did you see the beautiful stove in the background! 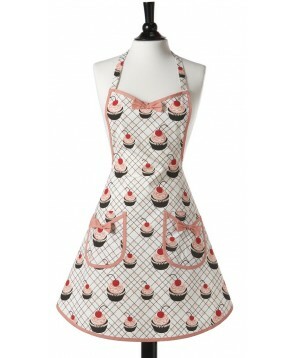 Jessie Steele has a great selection of retro looking aprons as well, both are 32,95$.